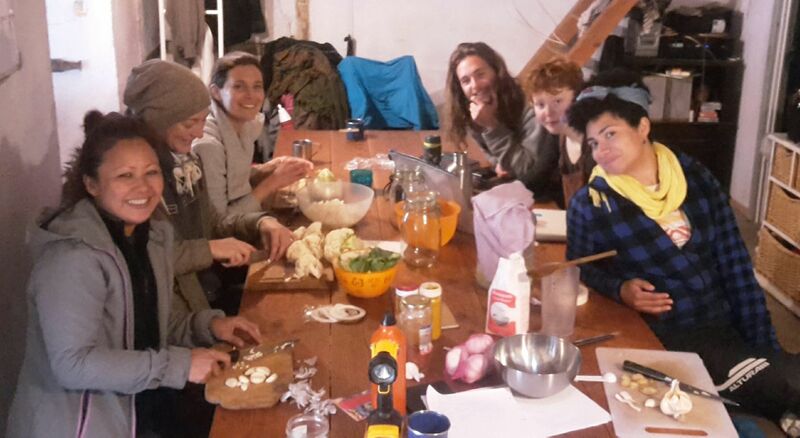 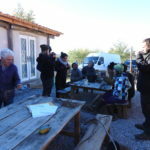 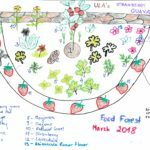 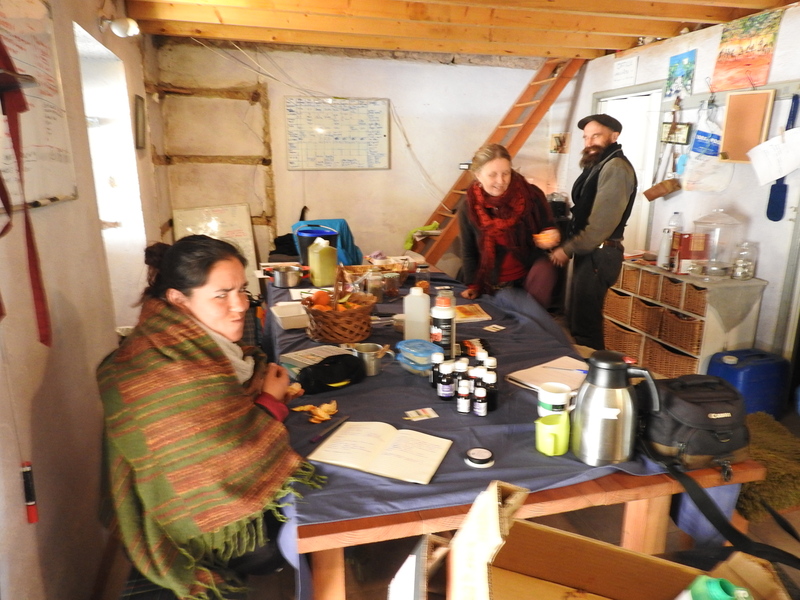 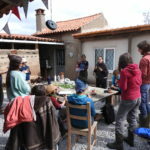 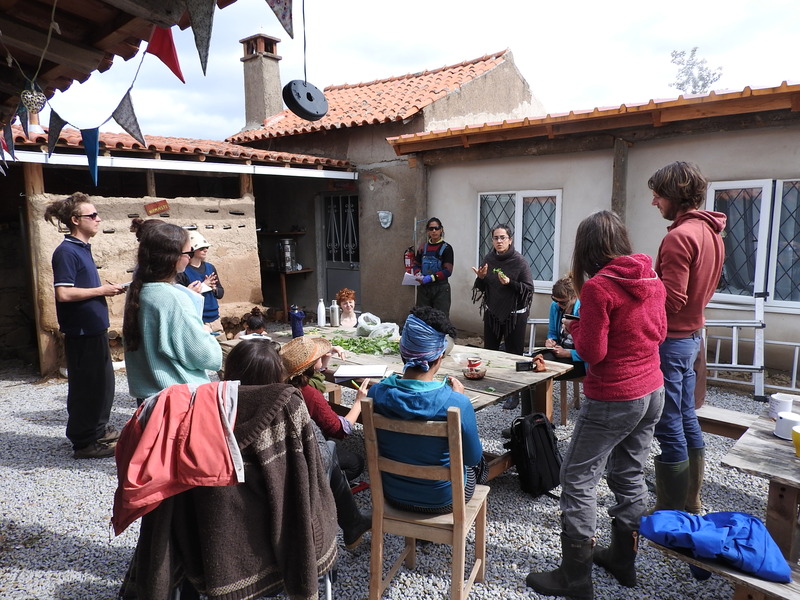 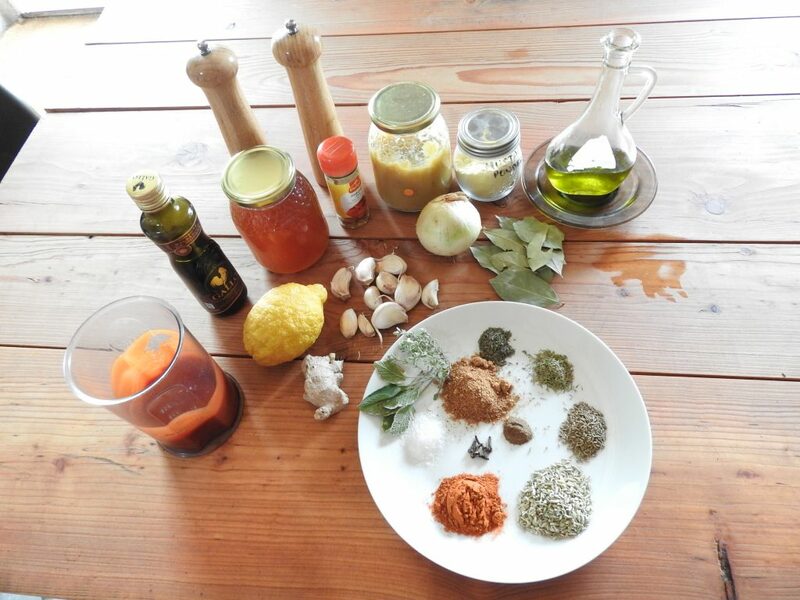 In March 2018 we held our second month long Food Forest course. 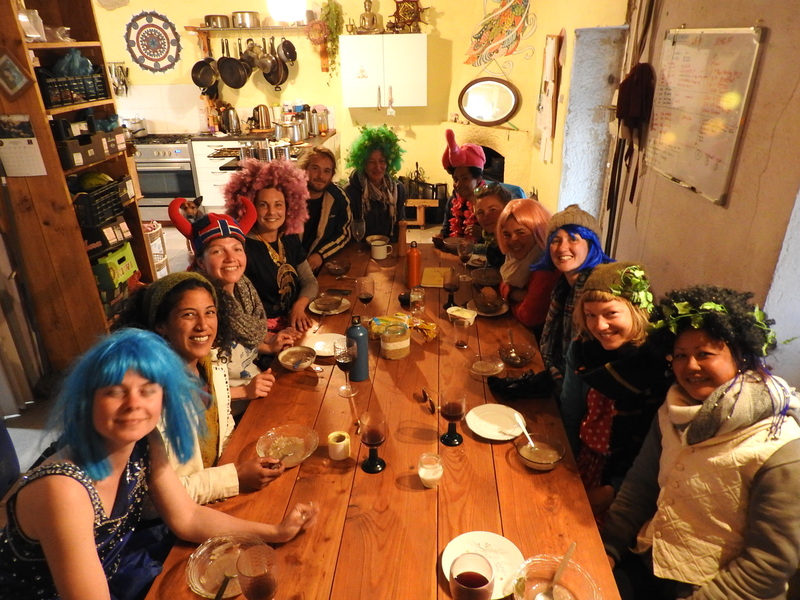 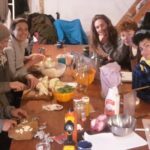 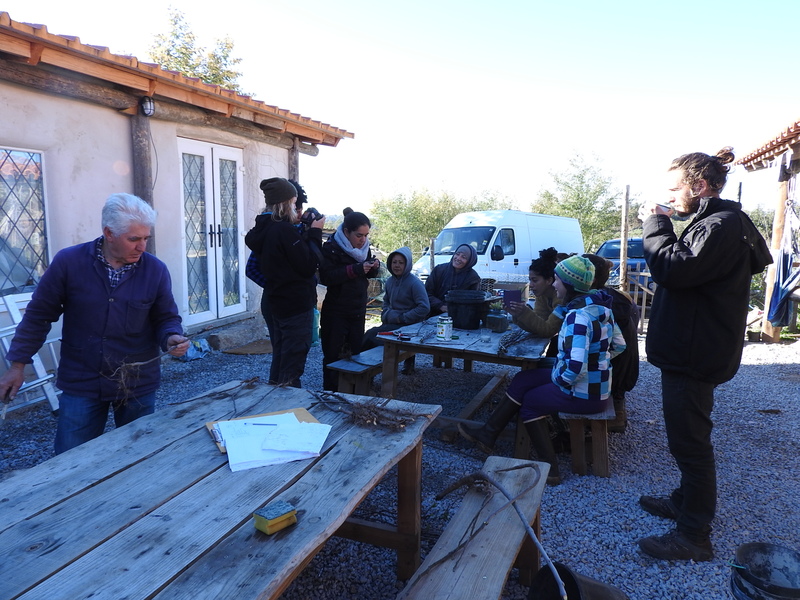 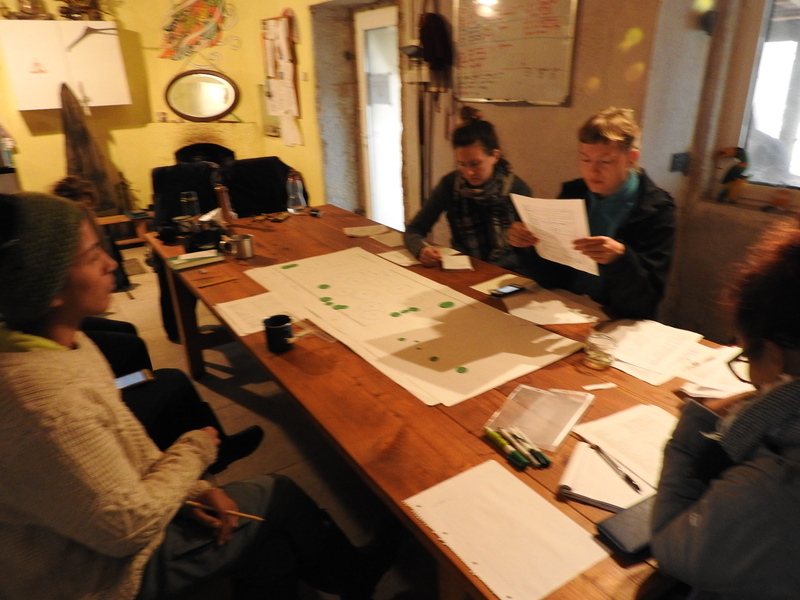 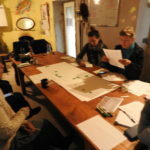 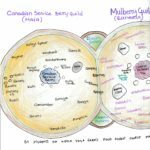 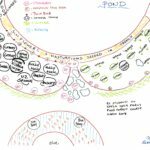 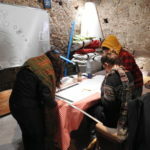 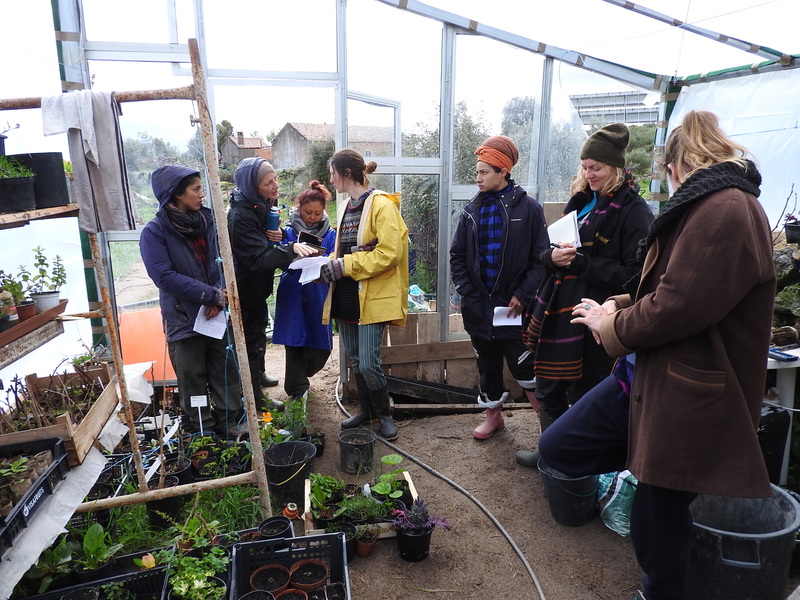 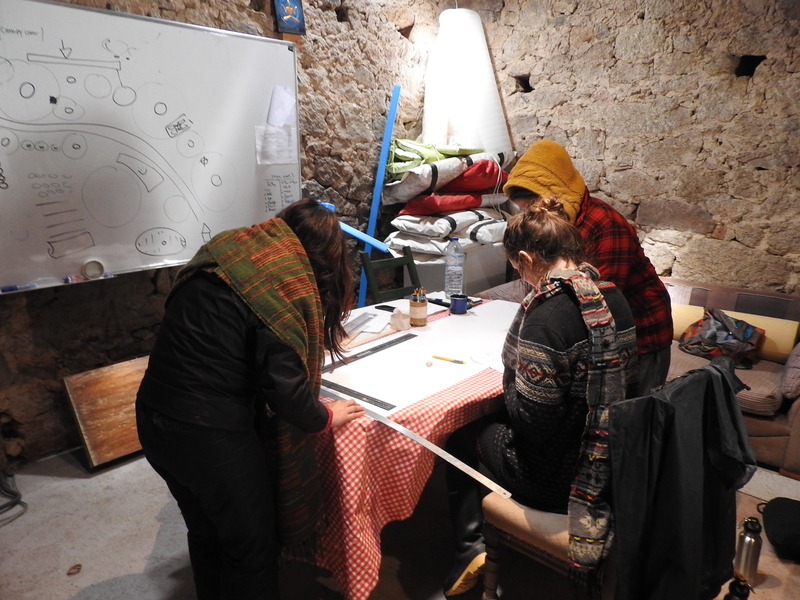 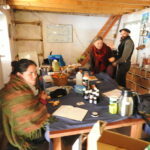 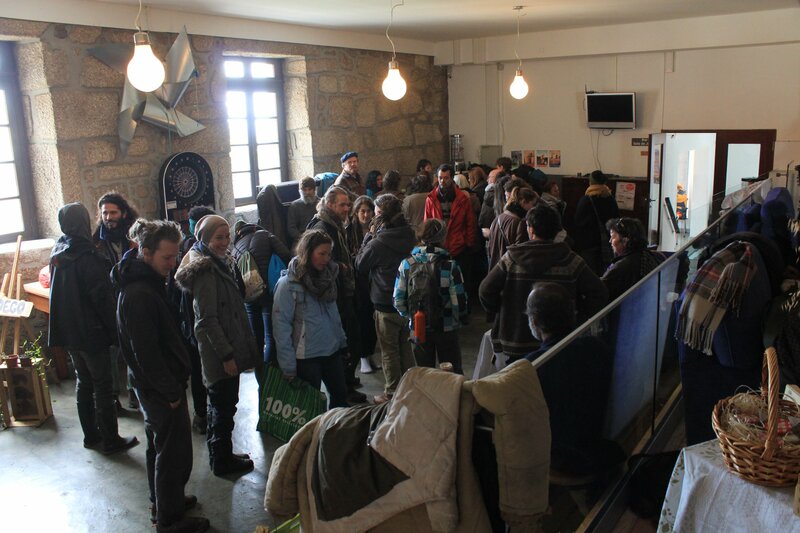 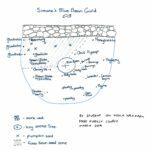 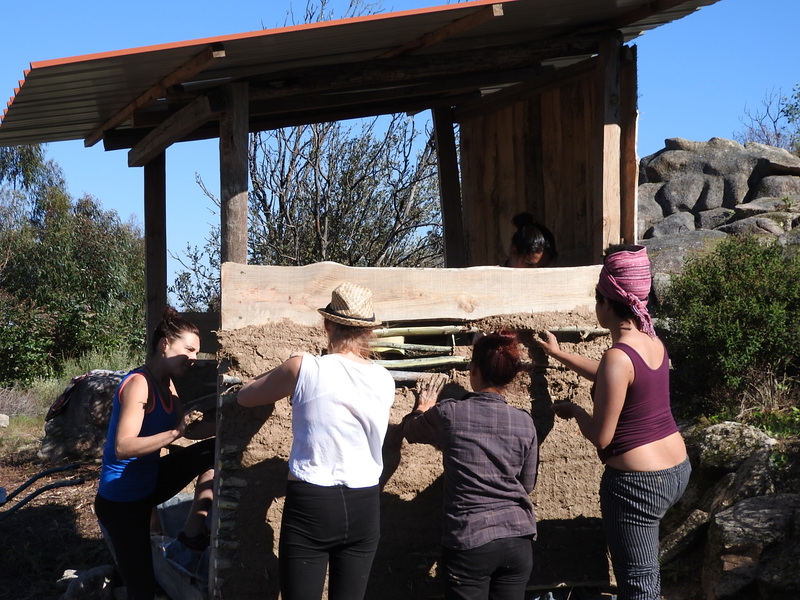 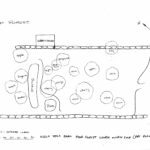 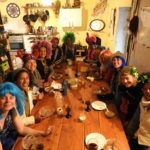 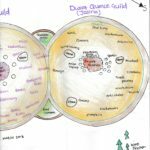 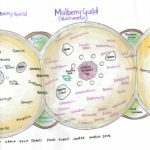 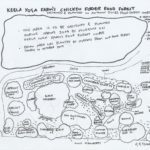 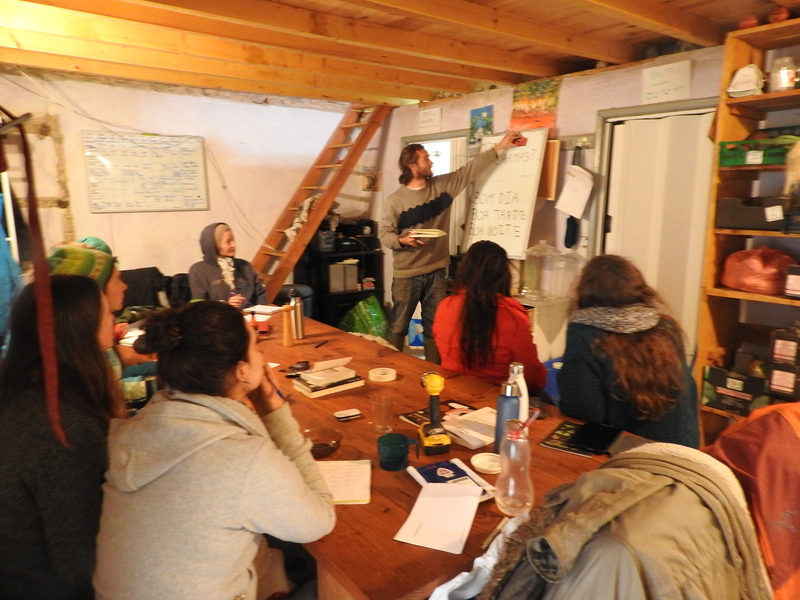 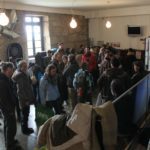 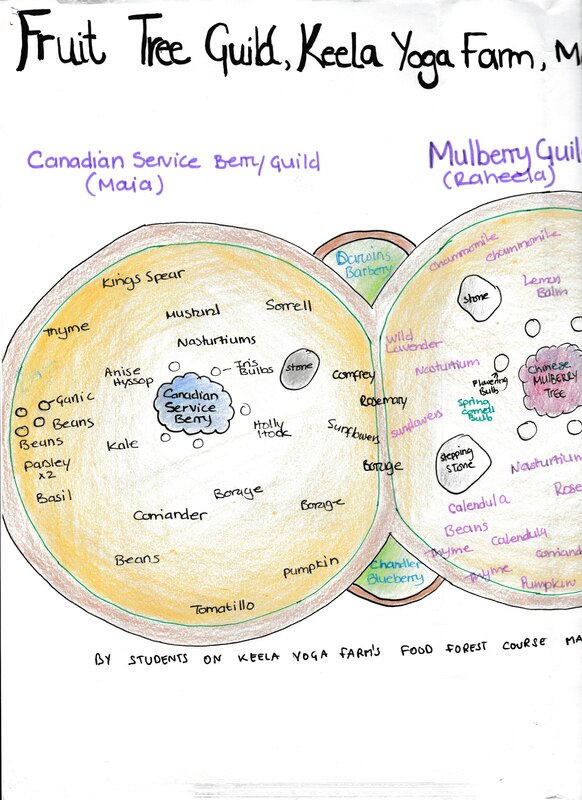 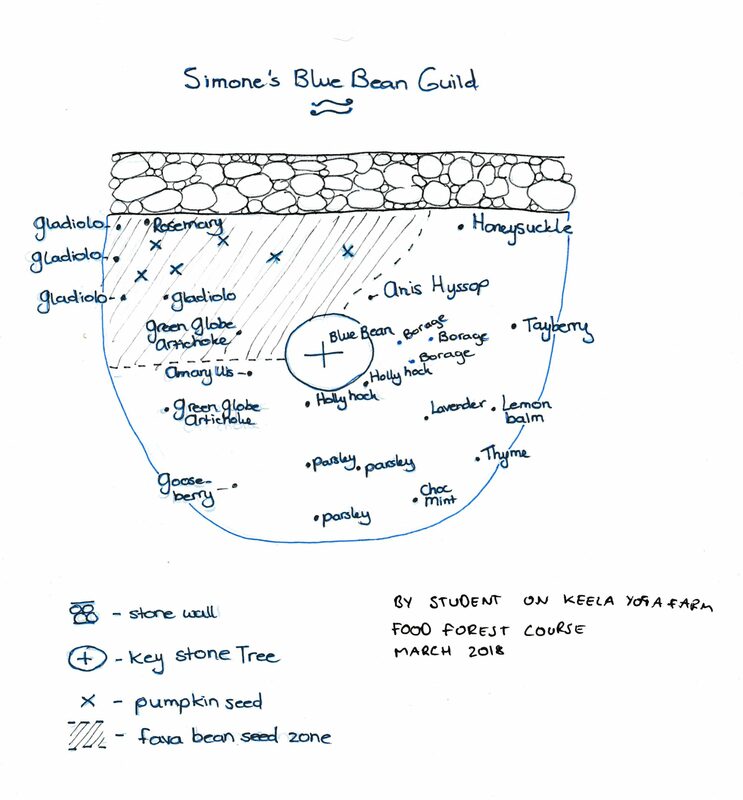 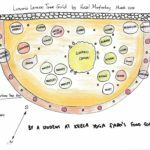 The group of eight spent one month learning about trees, soils and food forests whilst researching their own trees and creating designs for a food forest. 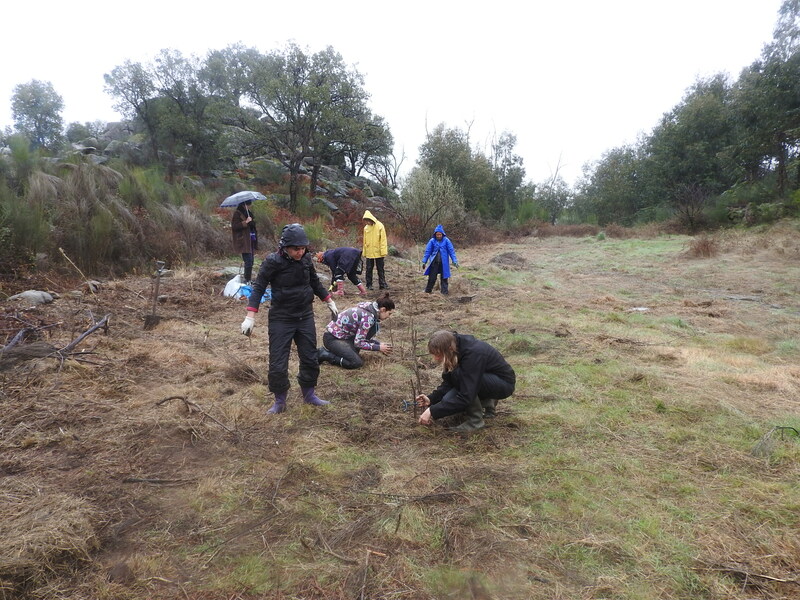 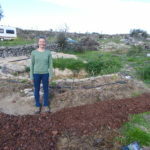 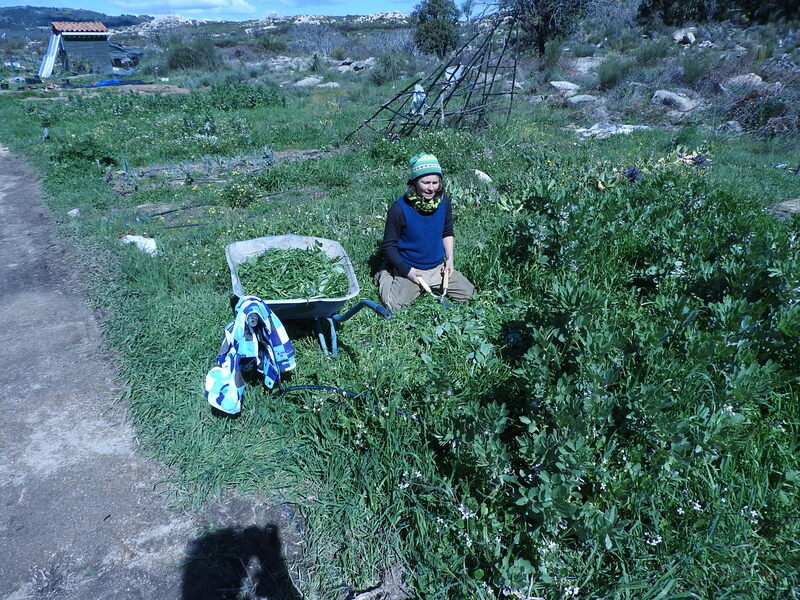 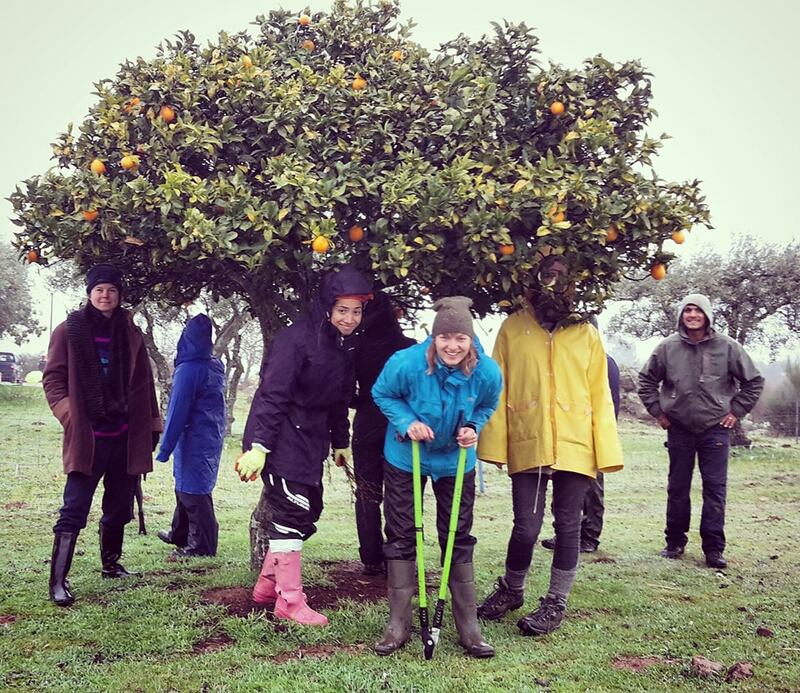 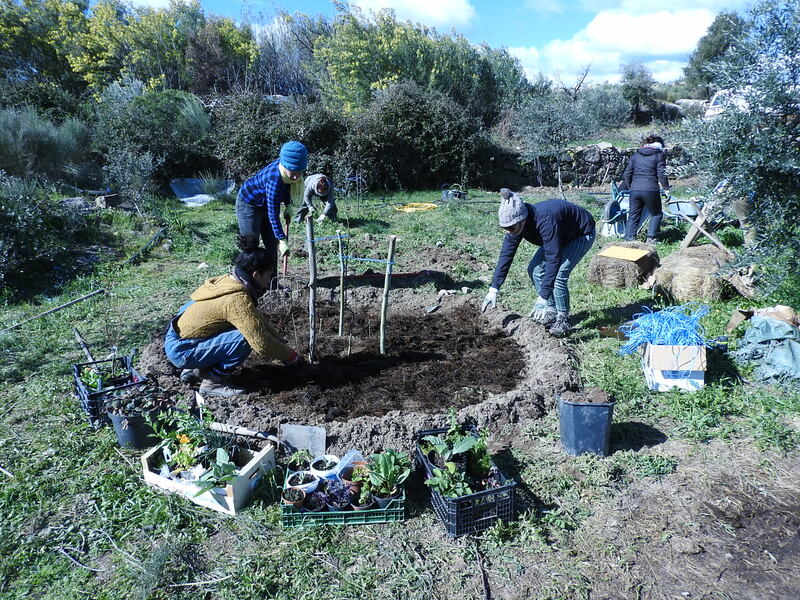 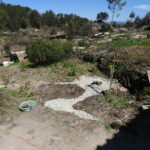 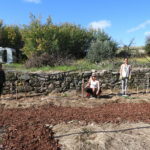 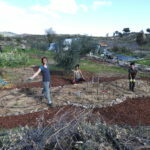 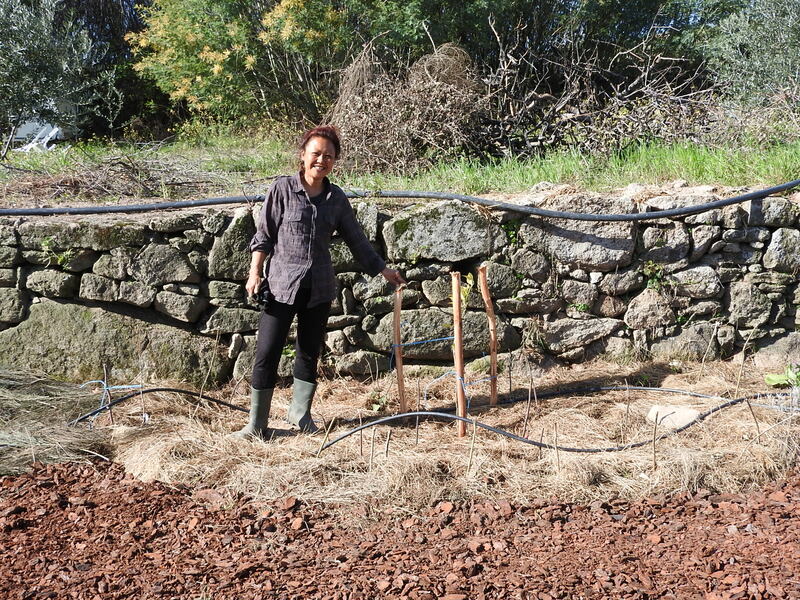 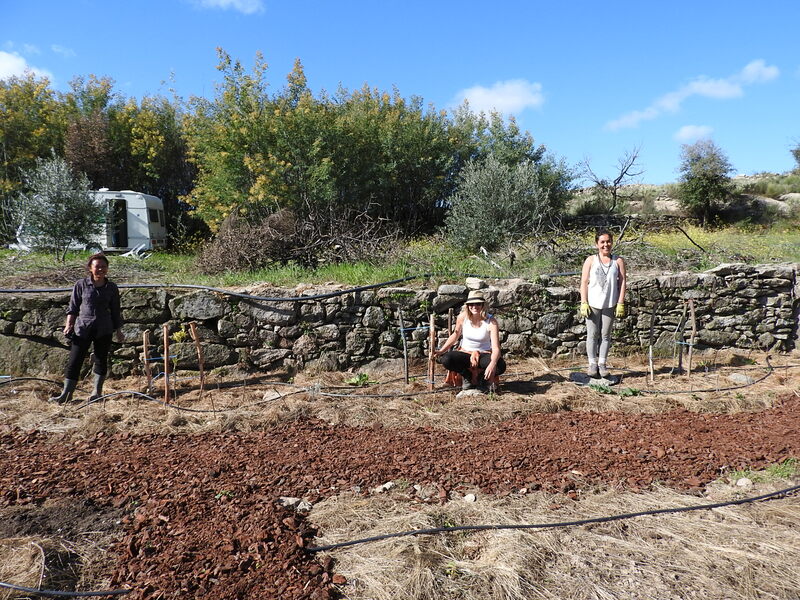 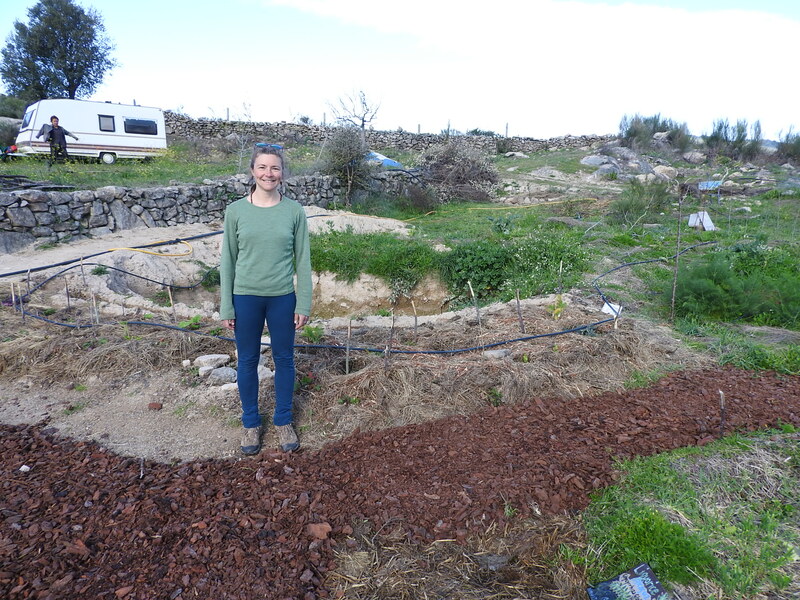 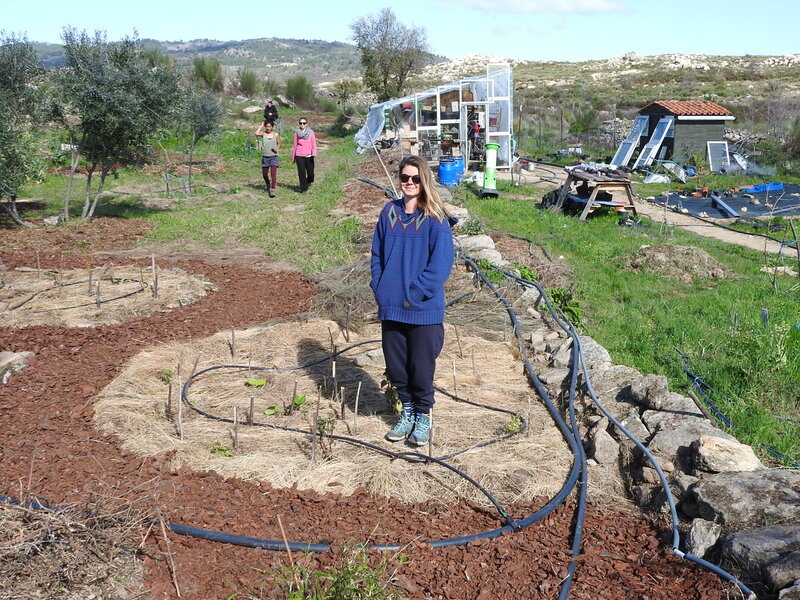 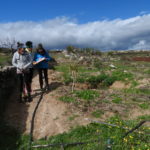 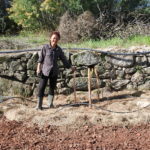 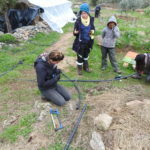 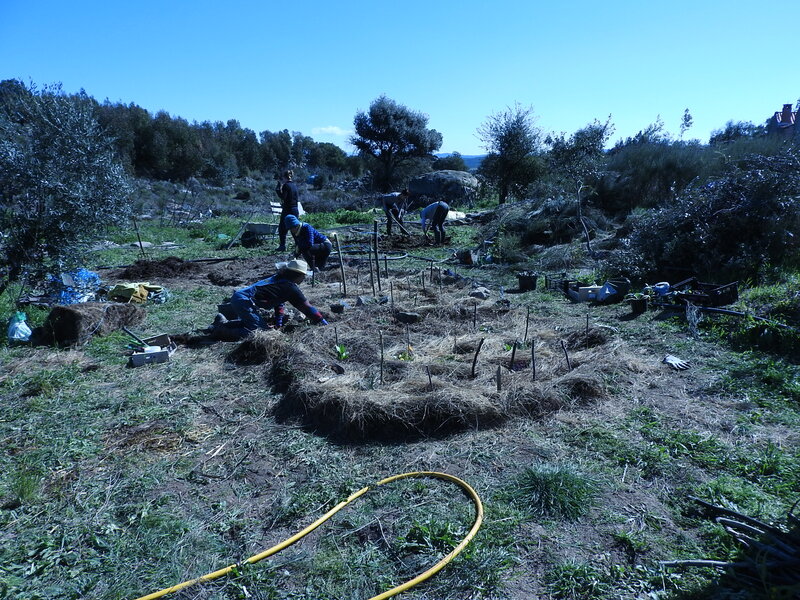 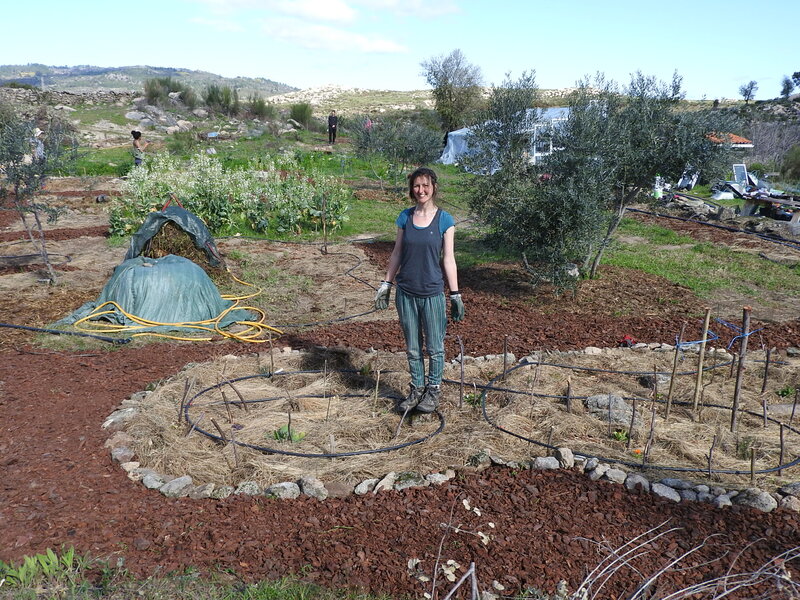 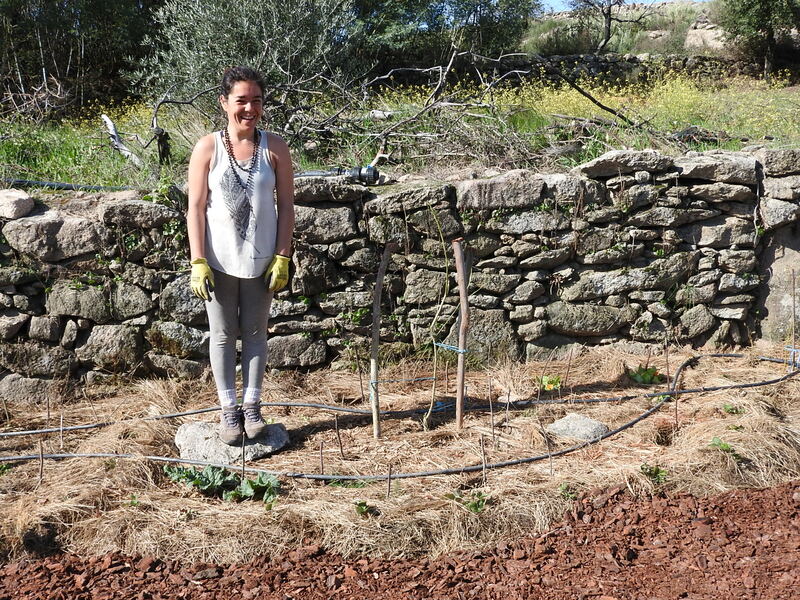 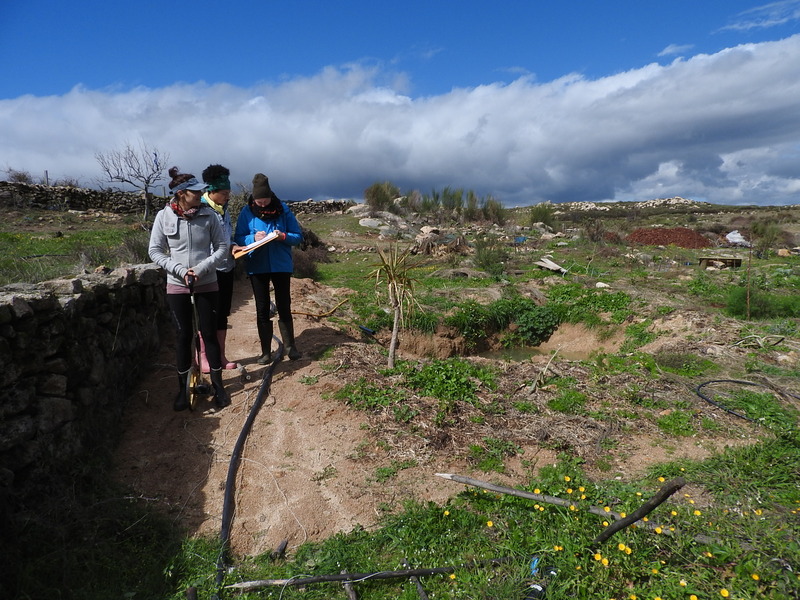 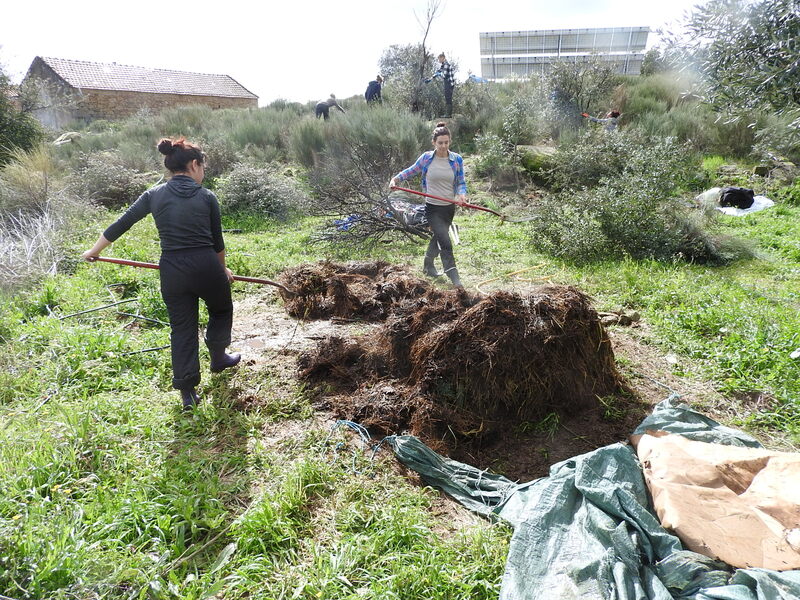 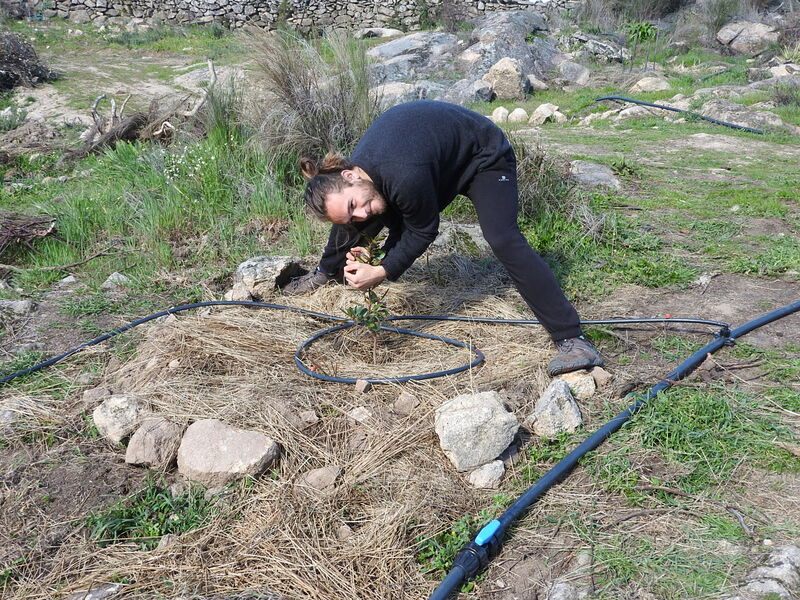 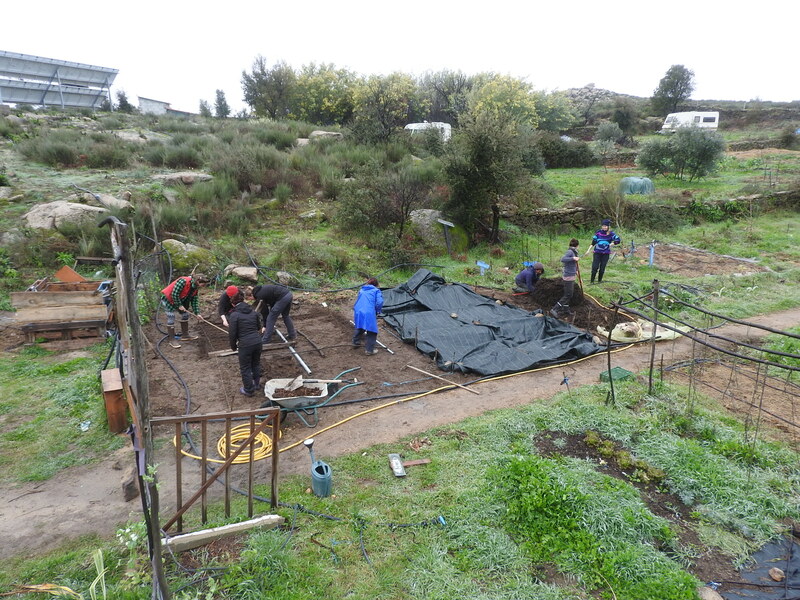 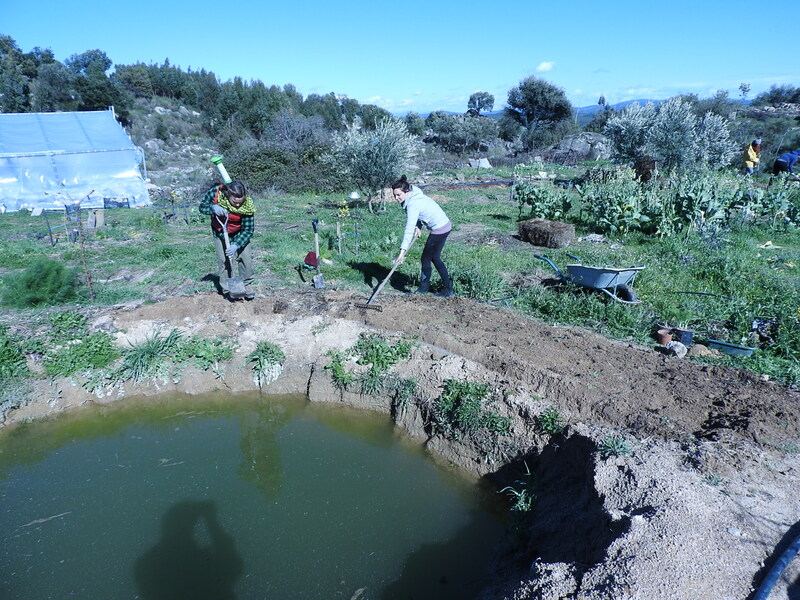 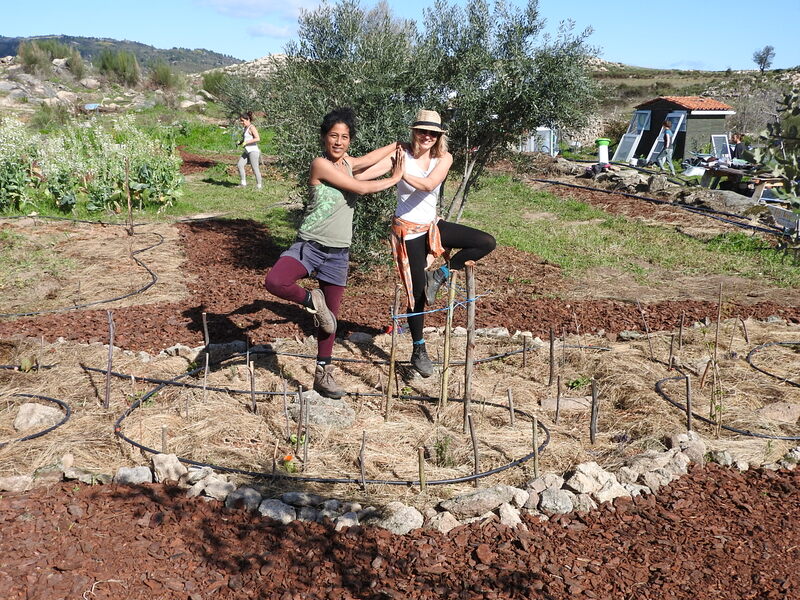 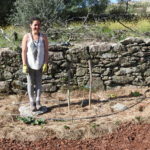 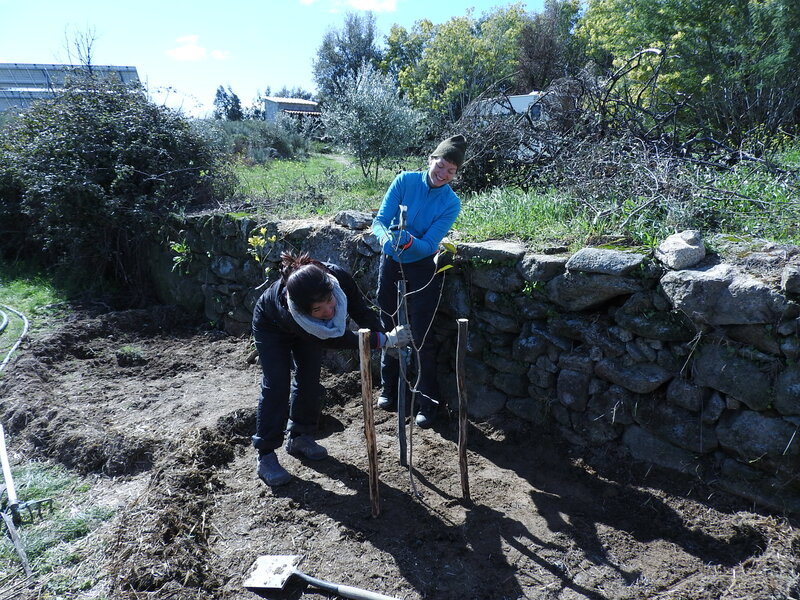 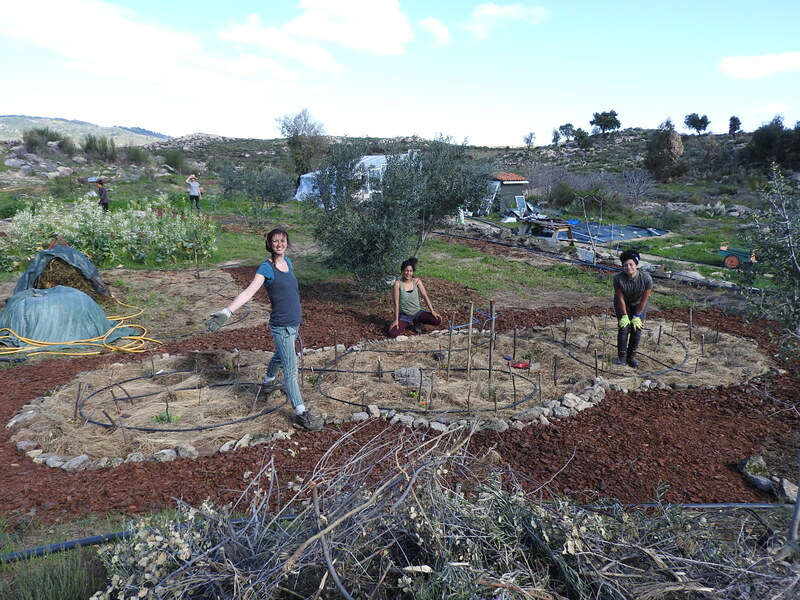 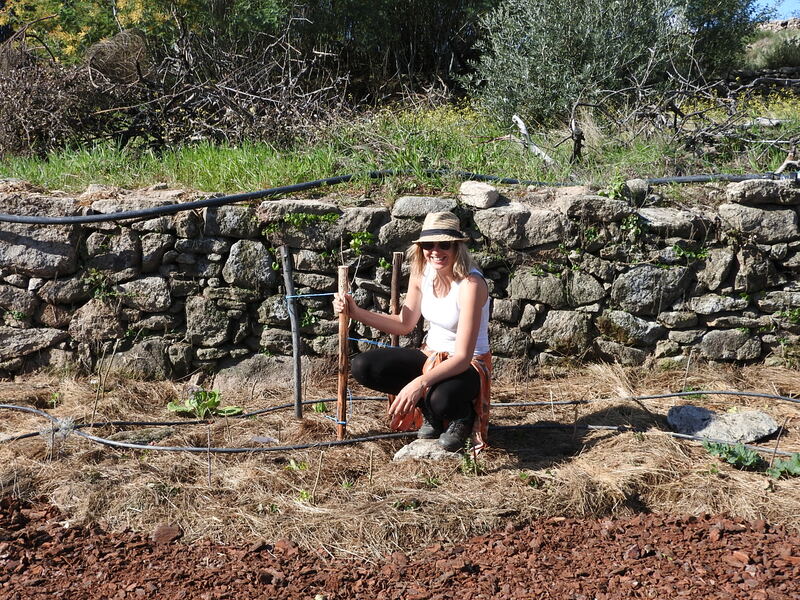 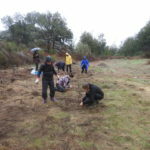 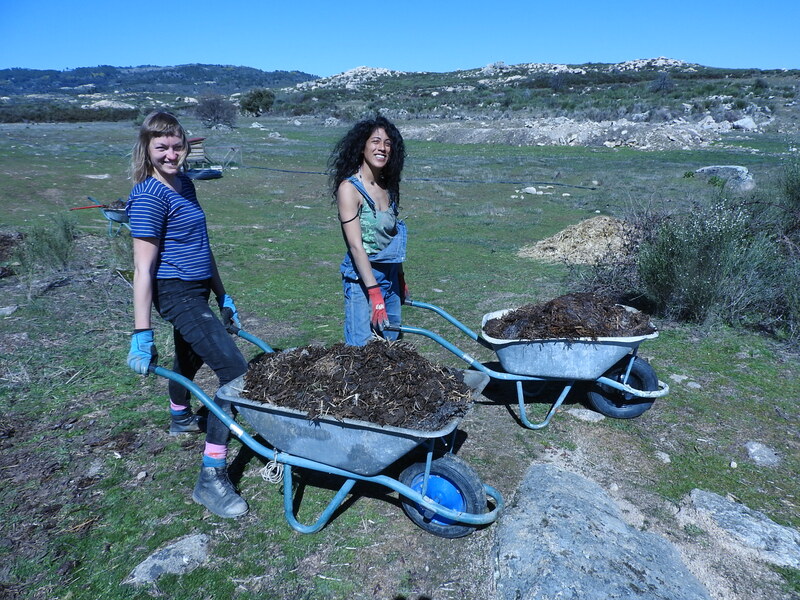 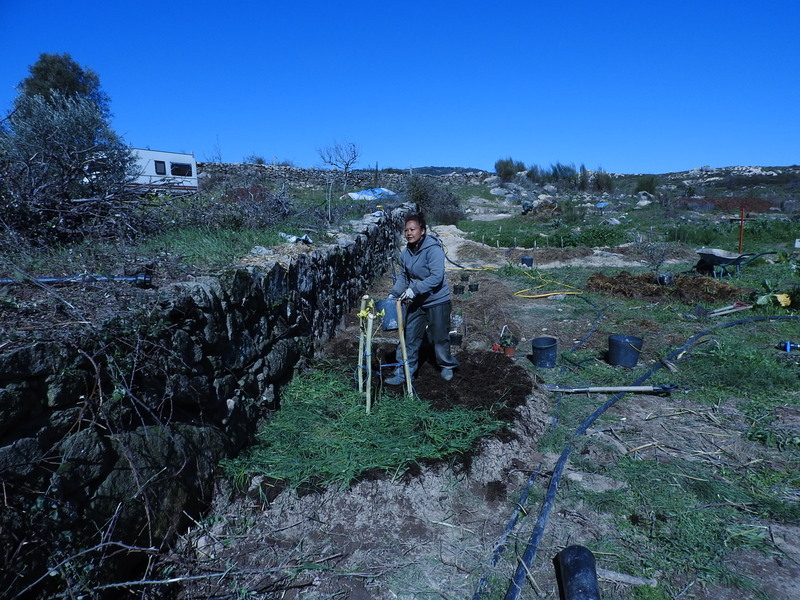 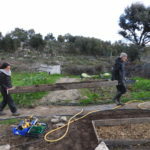 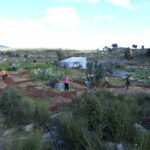 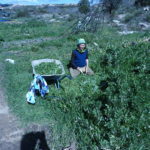 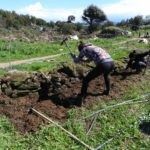 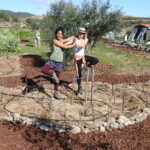 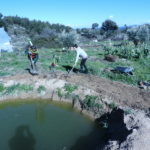 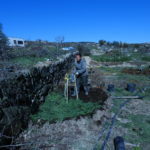 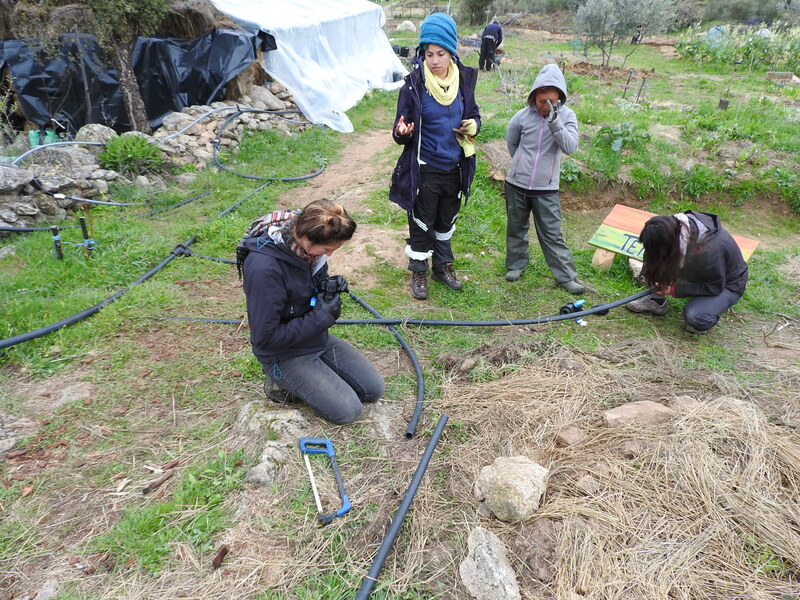 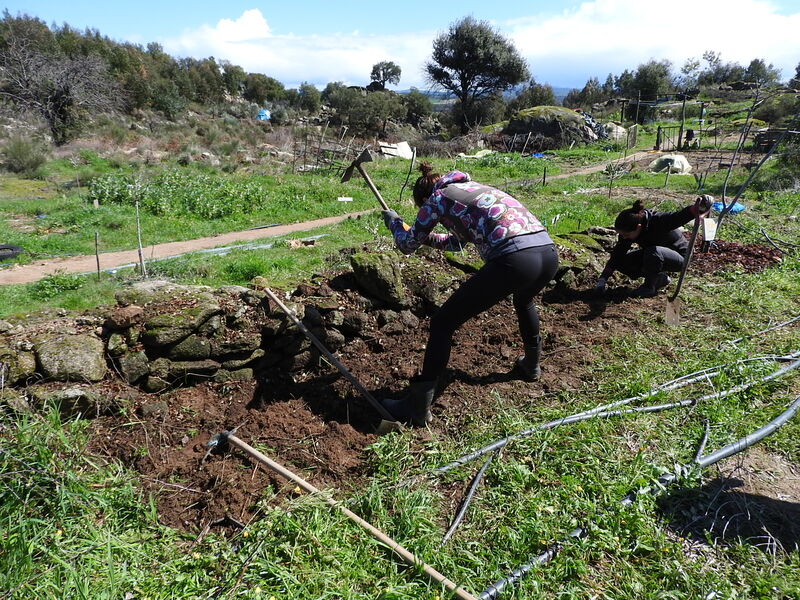 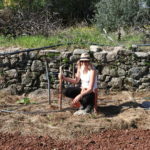 They then planted a new food forest in an old olive grove in one of our terraces. 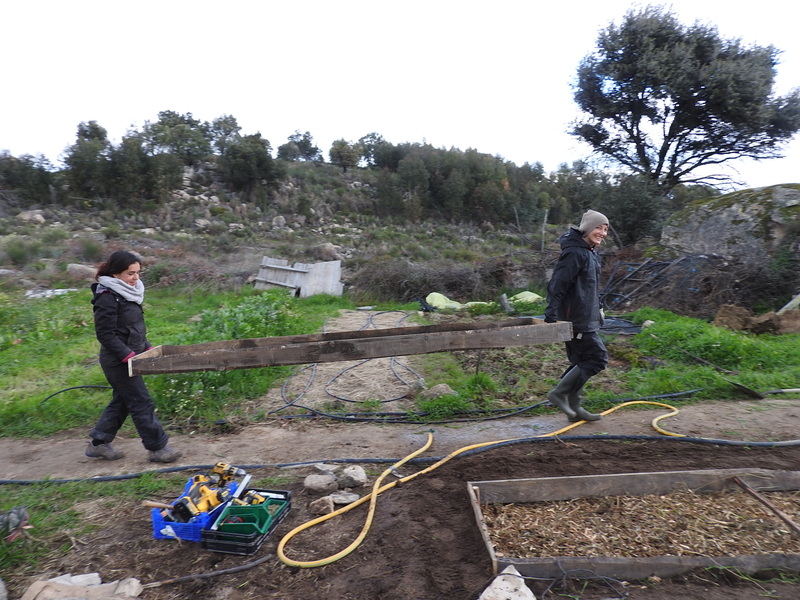 This terrace originally was an olive grove which burnt down in a fire in 2013. 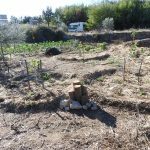 It was then abandoned and became overgrown with weeds and olive shoots. 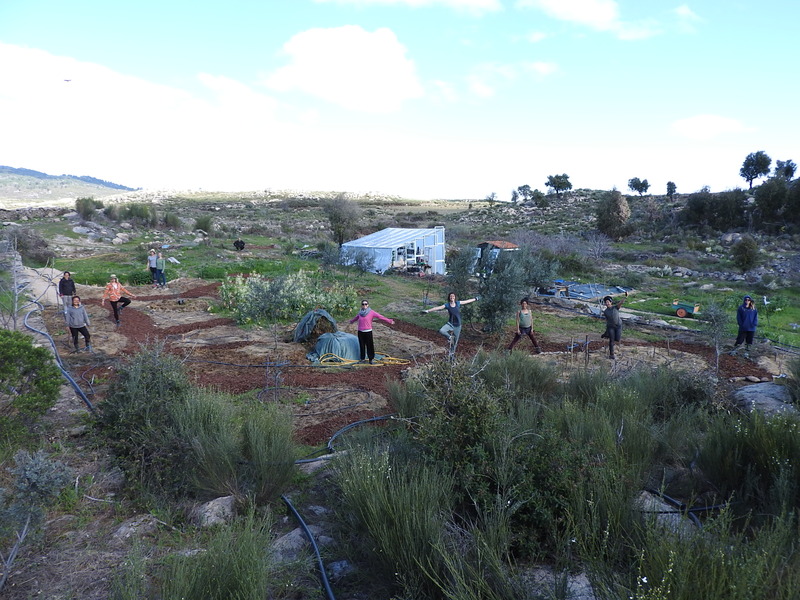 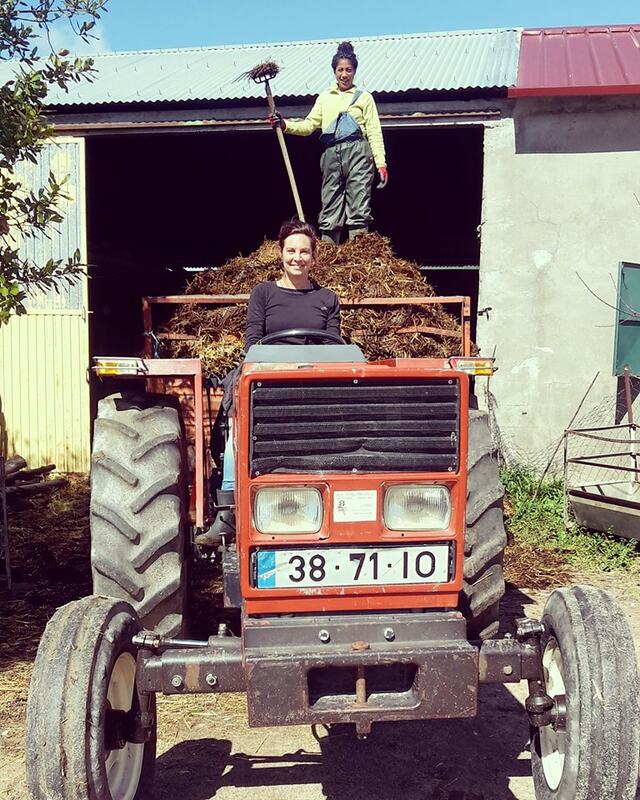 We cleared it with a tractor and grew one season of annual crops on it before turning it into a food forest. 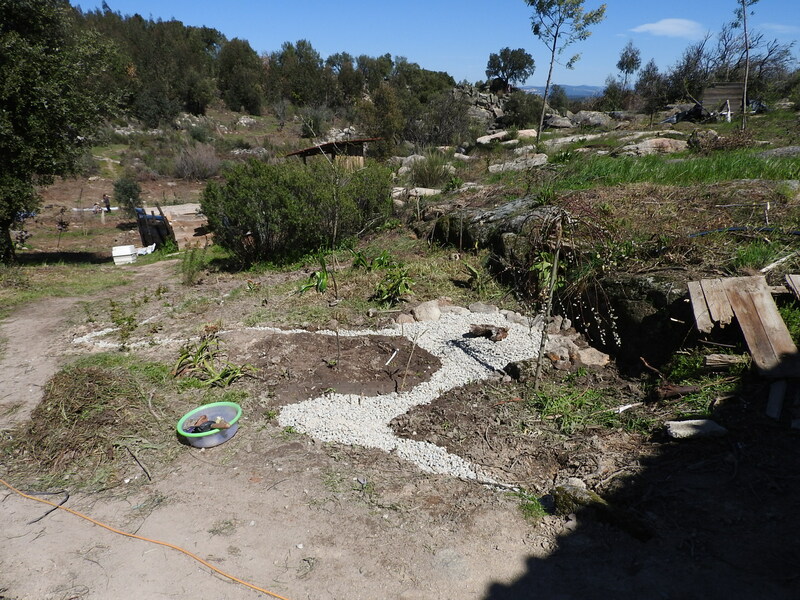 This terrace has now been mass planted with trees, guild shrubs, cover crops and sheet mulching. 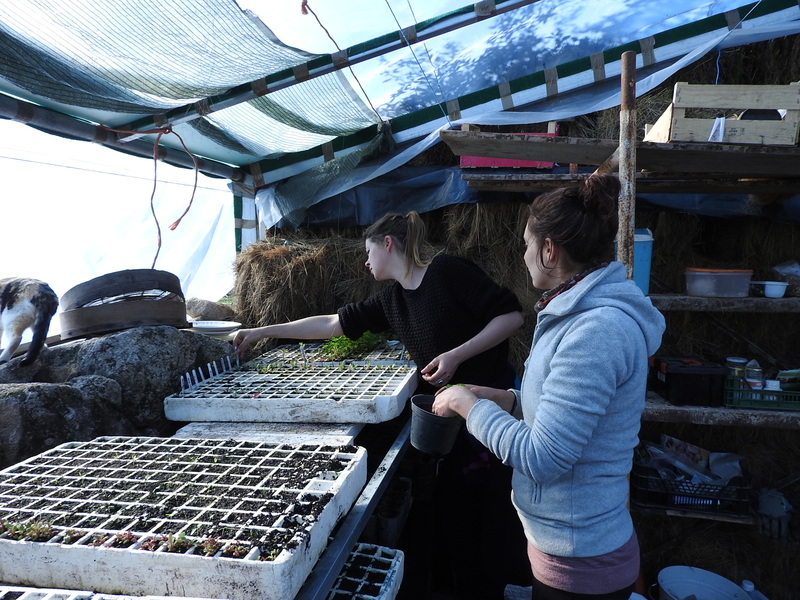 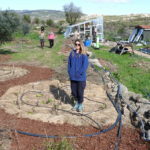 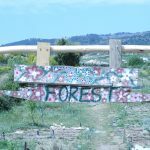 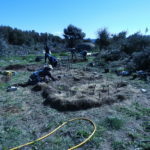 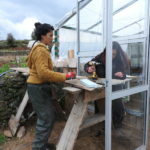 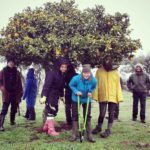 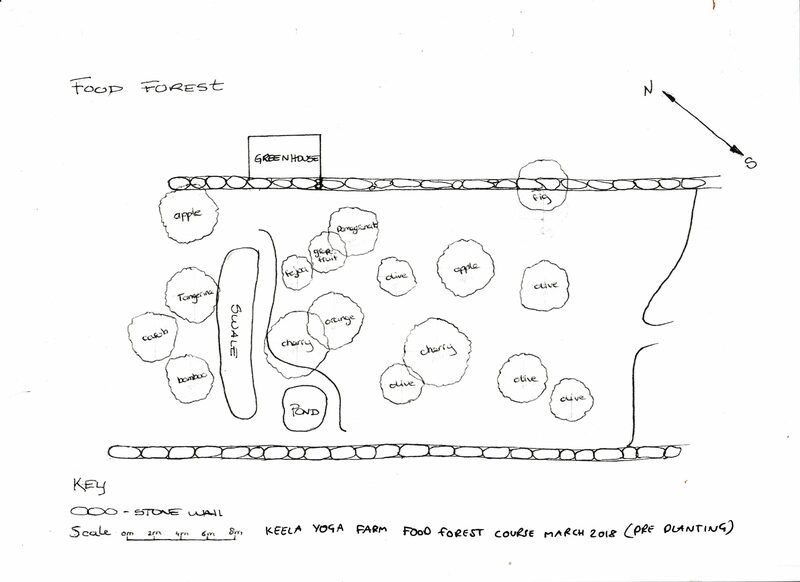 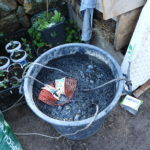 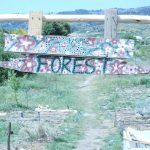 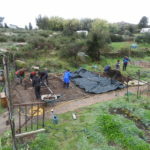 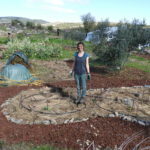 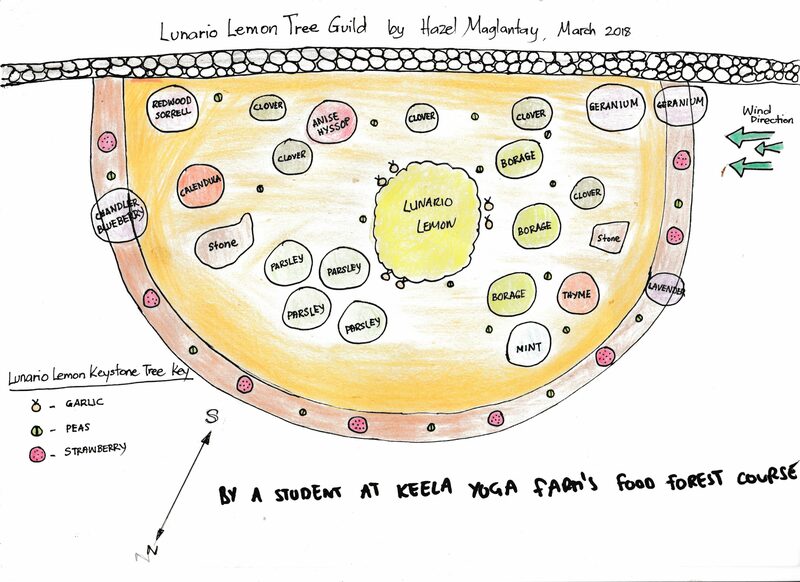 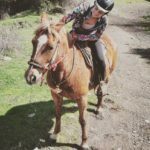 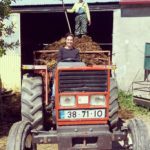 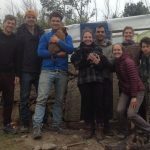 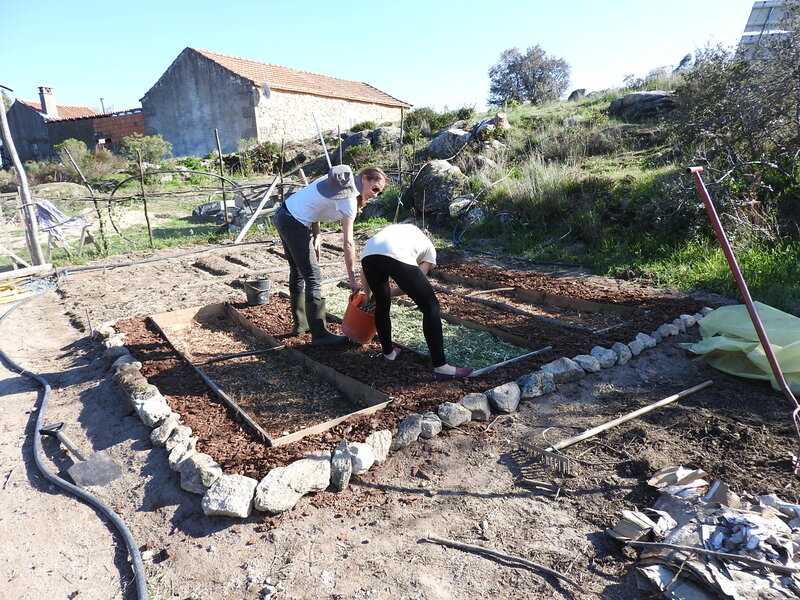 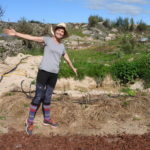 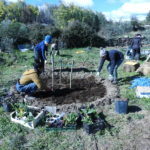 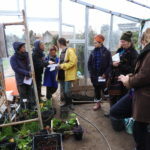 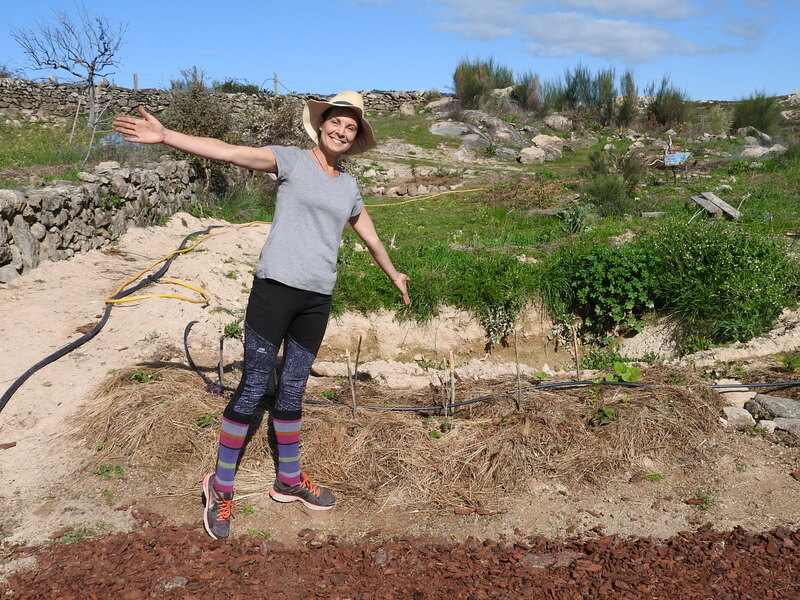 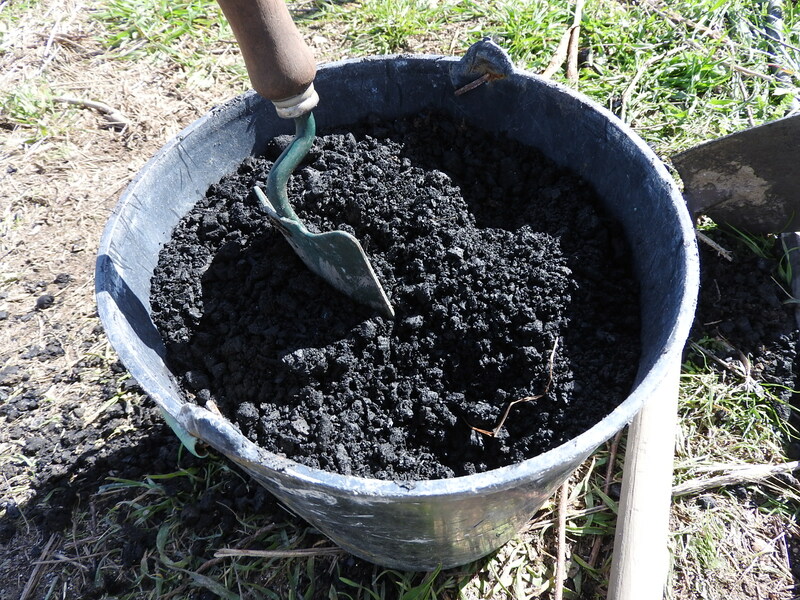 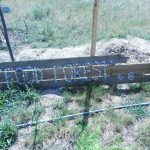 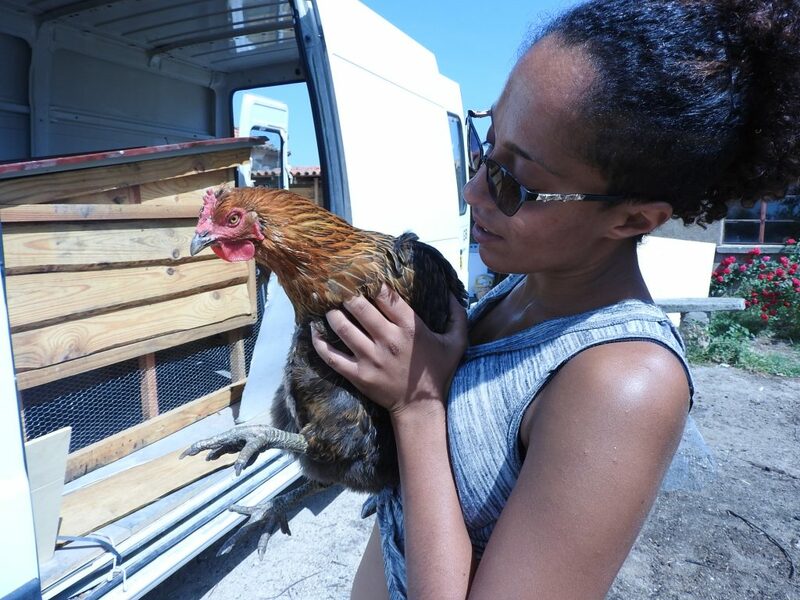 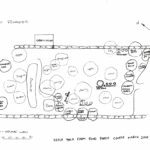 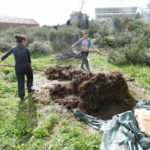 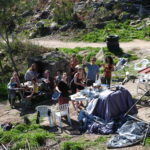 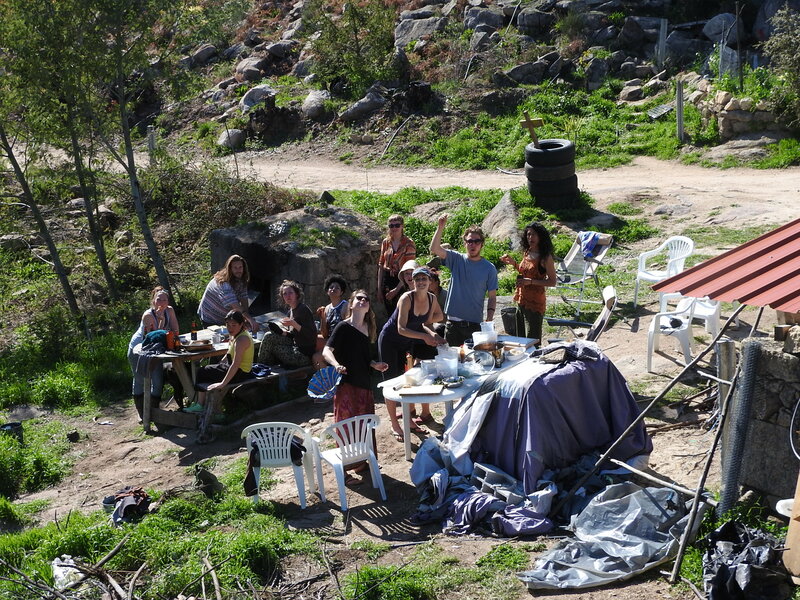 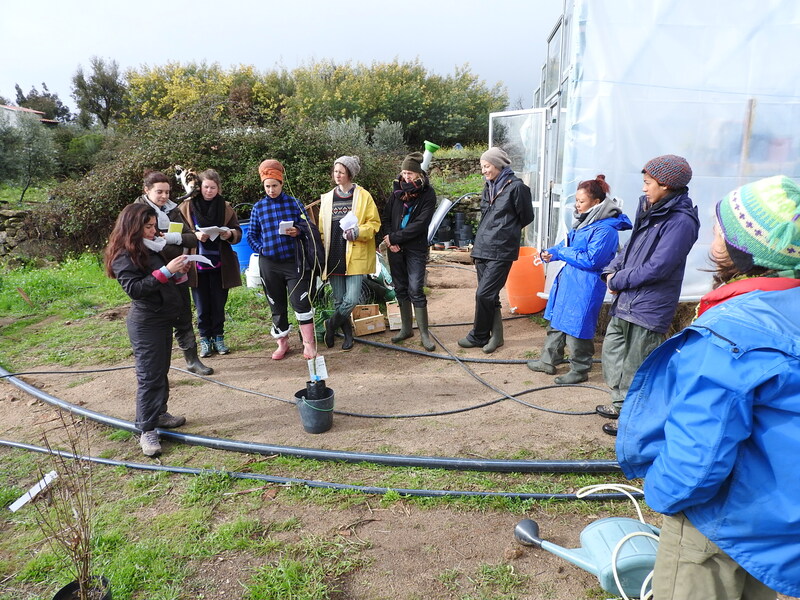 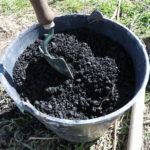 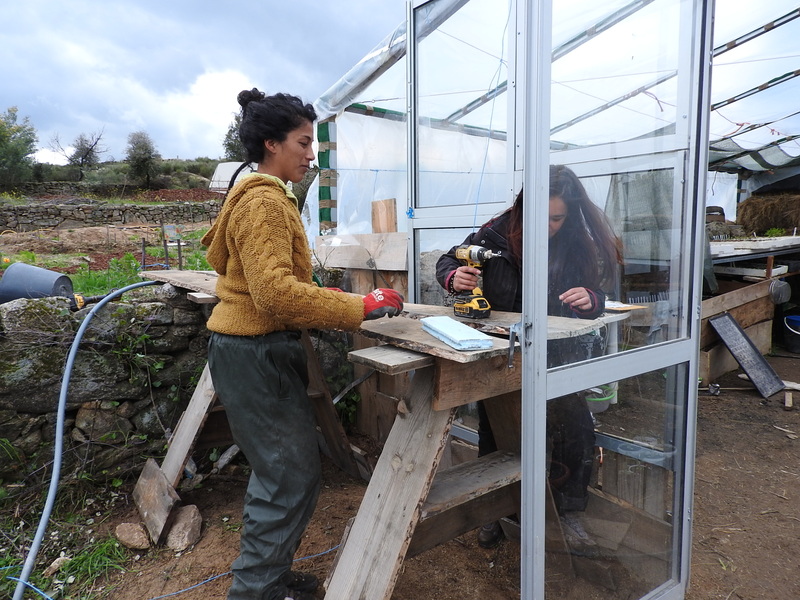 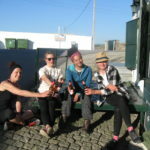 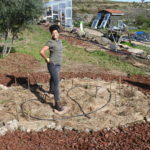 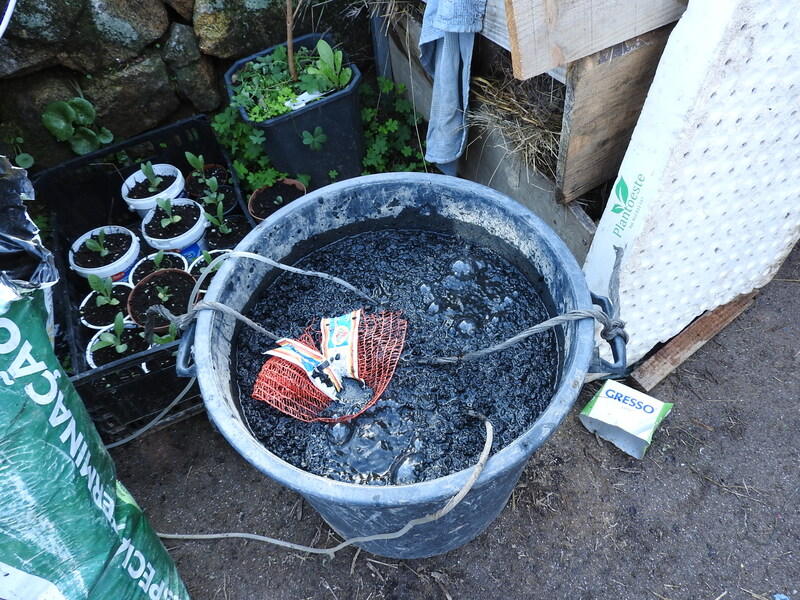 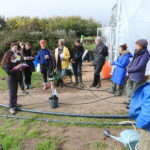 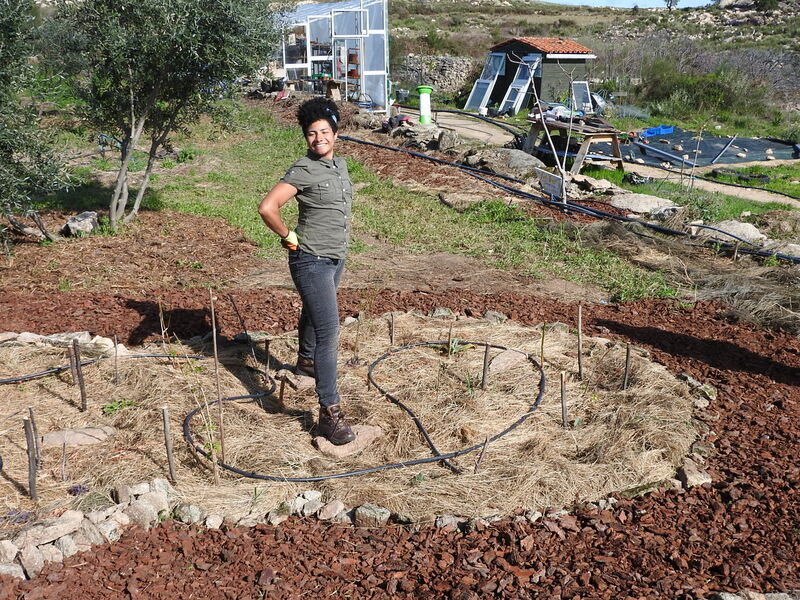 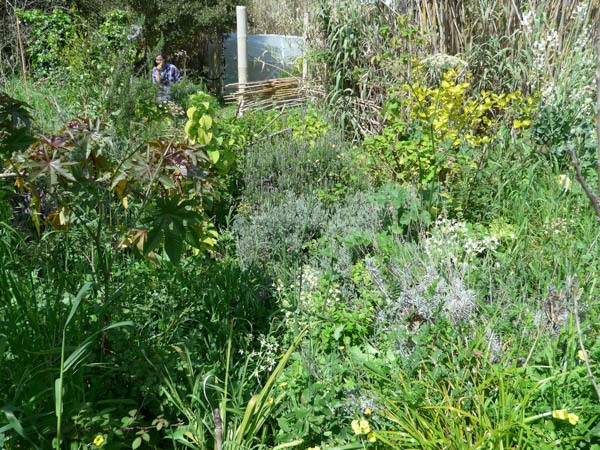 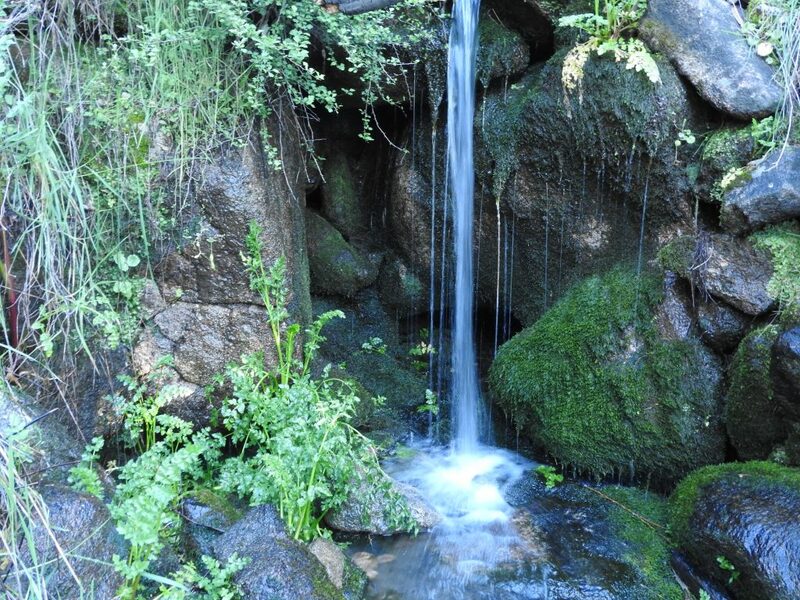 Our food forest courses are one month long and give students an in depth view of all aspects of living off grid along with how to set up a food forest from making compost to planning and constructing irrigation. 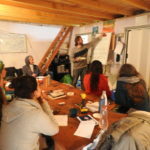 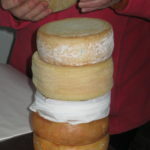 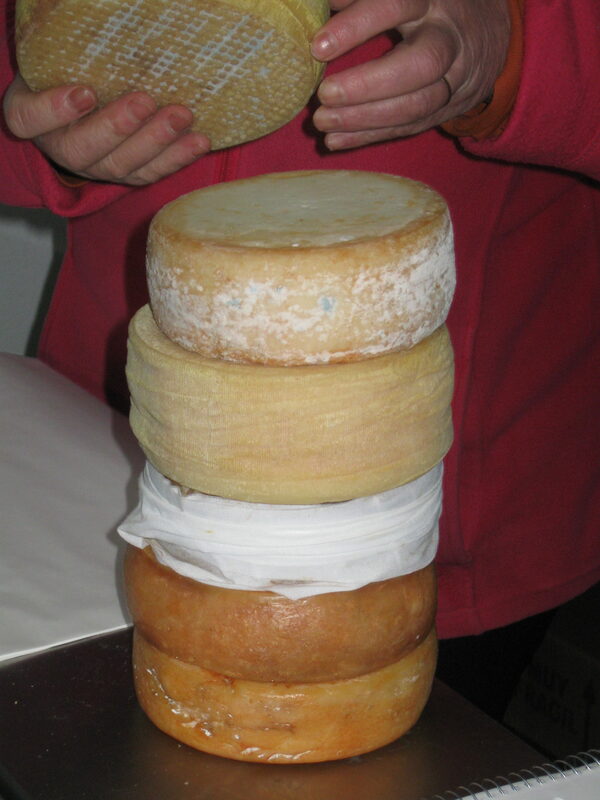 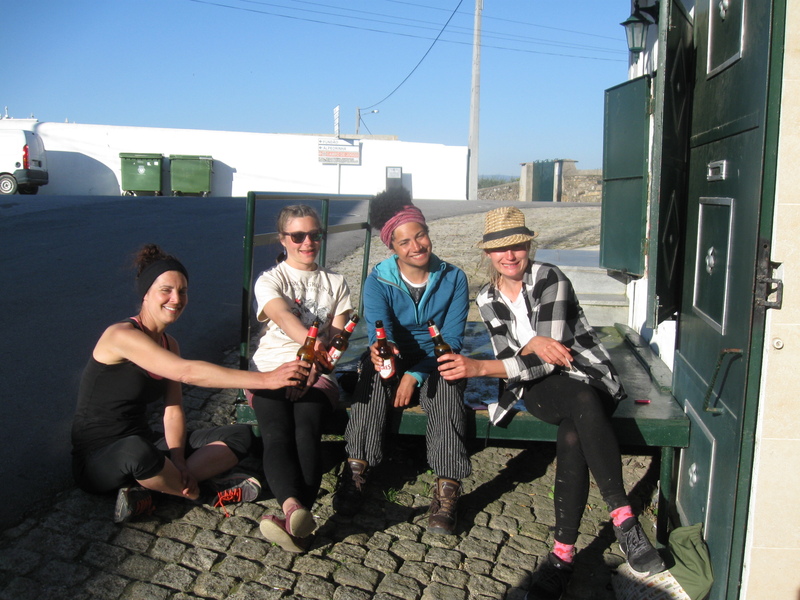 Click here for information on our next course. 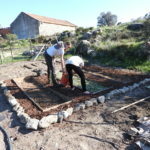 We made some bed in the annual garden and planted quick growing annuals like spinach, turnips, mustard, rocket and radishes. 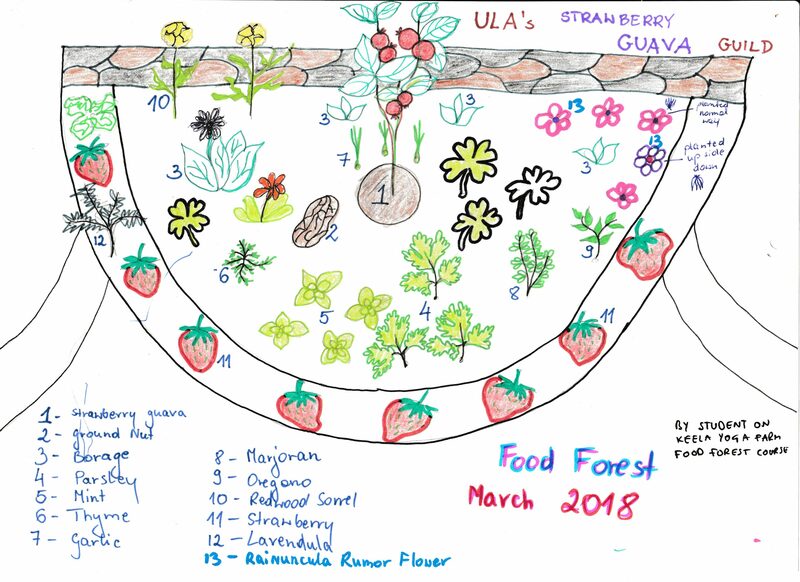 Each student was assigned a tree which they researched through the course.. they then designed their trees together into the food forest based on their leanings. 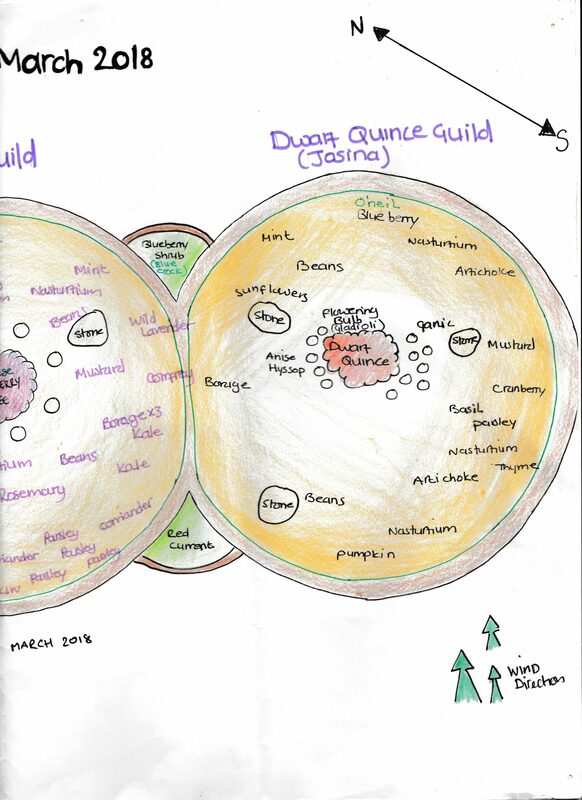 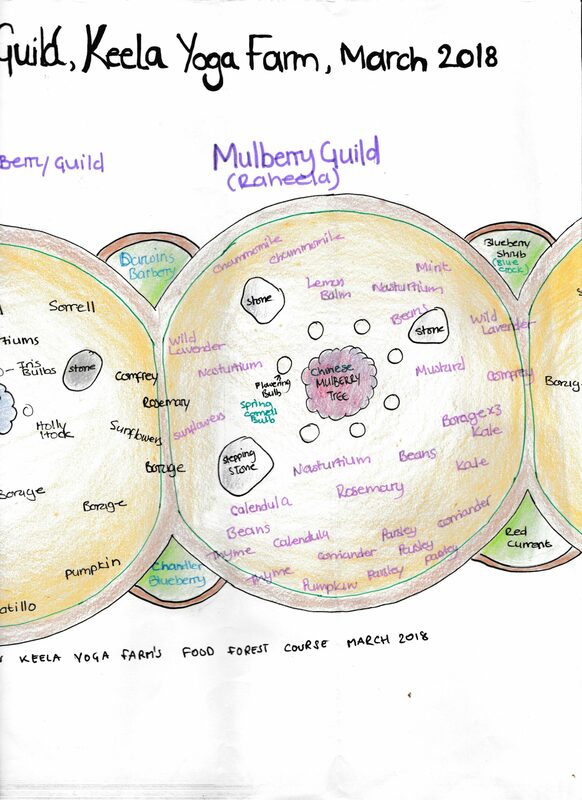 After this each student designed a guild of companion plants and planted them (see designs lower down). 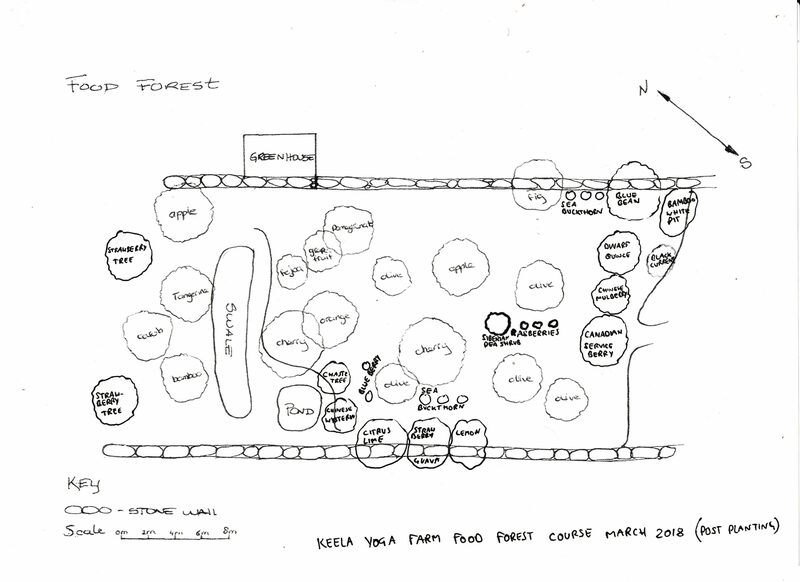 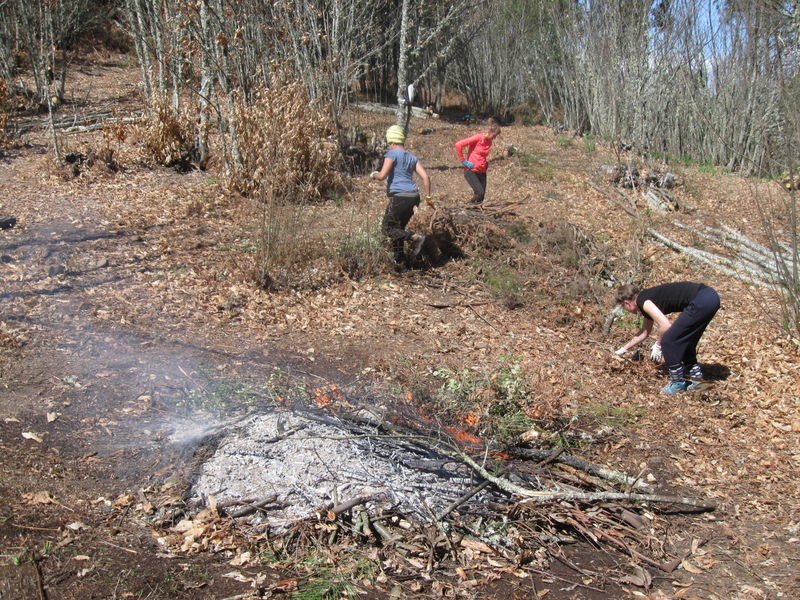 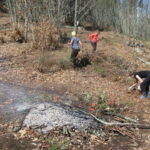 Once this was done, open areas of the food forest were filled with paths, shrubs, cover crops or sheet mulching.